QUESTION: Should we take profits and try to buy back lower? ANSWER: No. A trend following approach like Dow Theory requires that you hold your winners as long as possible. That’s because no one knows how high this market can go. Trying to pick tops and bottoms is a fools game. QUESTION: My friend’s broker is recommending people go to cash because he thinks the market will go down again. Do you agree? ANSWER: There is no way to tell for sure. Right now the probabilities favour higher prices. The best course of action is to hold. 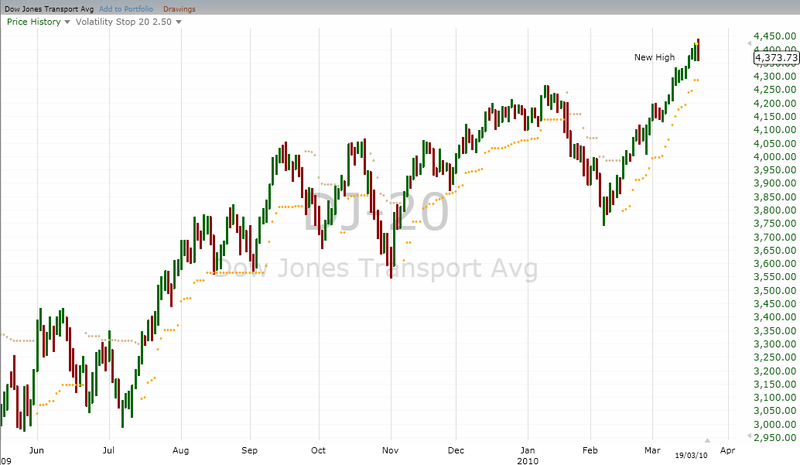 When the trend is over, Dow Theory will let us know. QUESTION: What should my portfolio look like now? ANSWER: That depends on your risk tolerance. Check out our AlphaDow page or our ETF Advisor page for ideas. Answer: Until we get a Dow Theory sell signal, stay invested. 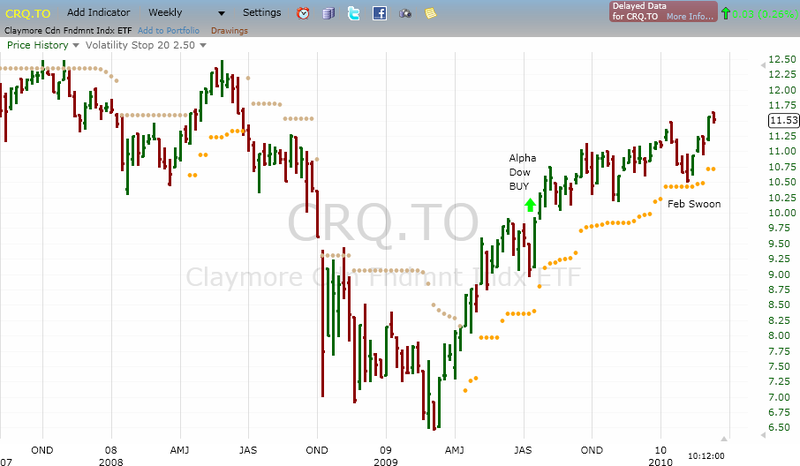 AlphaDow followers continue to hold index funds that replicate the TSX Index or S&P 500, depending on your preference. I use Powershares for the TSX because they have a tax deferred “class” and we can move to money market without tax consequences. In my tax deferred account I prefer the ETFs (pictured above) because I can put a stop-loss in the market and forget about it. Answer: Nobody knows for certain. Therein lies the rub. If pressed for an answer I think we have one more good-sized move higher. 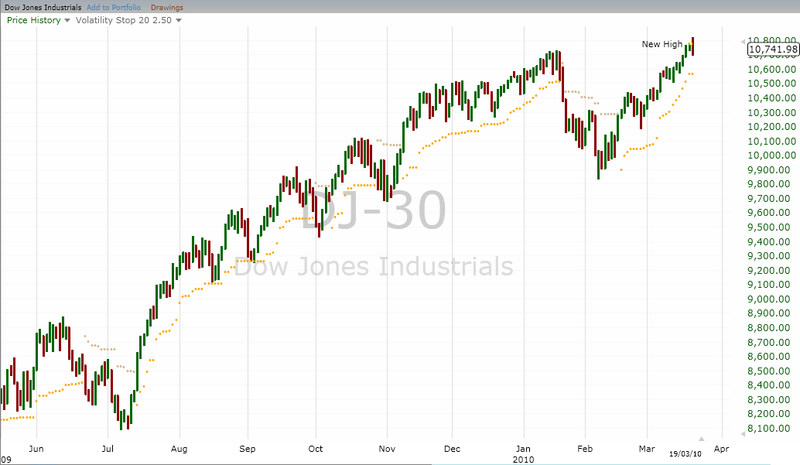 Dow Theory suggests BULL markets move in 5 waves. We just had the 4th corrective wave end in the second week of Feb. I suggest the 5th wave up is underway. Continue to use stop losses as prescribed – Mr. Market is a lot smarter than me. Email info@alphadow.com for more information.